A Name You Can Count On! If you are interested in meeting others in the community, you are welcome. If you are unfamiliar with F/OSS and/or GNU & Linux, you are welcome. If you want to install F/OSS programs and/or GNU & Linux in your machine today, don't forget your monitor, keyboard and your mouse. We will have the Install Fest at the LinuxCabal headquarters from 14:00 to 20:00. We have Mandriva, Fedora and Ubuntu. If you desire to install some other distribution of GNU & Linux, bring your disks and we will help as we can. As in all of our reunions at LinuxCabal, we have Soft Drinks, Beer and our famous SpaghettiCabal which is prepared with a ragu tomato sauce, cheese and meat. Served with bread. 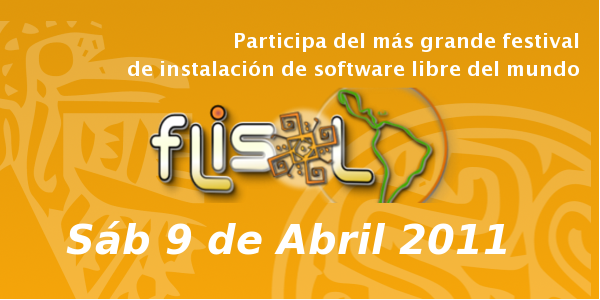 Dont miss this opportunity to meet the members of the GNU & Linux and F/OSS community in Guadalajara. Come to "LEARN", "TEACH" and "SOCIALIZE"